On the hunt for a holistic doctor? Miami residents know that the best care is the type of care that treats the entire person, and that extends to dentistry. Holistic dentistry is an alternative approach to caring for teeth and gums that focuses on the relationship between the health of the mouth and the health of the rest of the body. We believe that patients should be provided with all of the information that they need to make smart choices about their dental health, and we strive to provide as much of that information as we can. In addition to a whole-person approach to care, holistic dentistry also incorporates the use of alternative treatments, including acupuncture, naturopathy, and the use of non-toxic materials. If you are searching “holistic dentist near me,” then maybe you have already decided that you would prefer holistic dental care. But what is the real difference between that and traditional care? The primary difference between holistic dentistry and regular dentistry is in the approach to care. A holistic dentist focuses on the health of your entire being—mouth included—whereas a regular dentist is concerned primarily with your dental health and nothing else. The holistic approach extends beyond your teeth and gums to include your mind, body, and spirit, with a strong emphasis on helping you find balance and overall wellness. 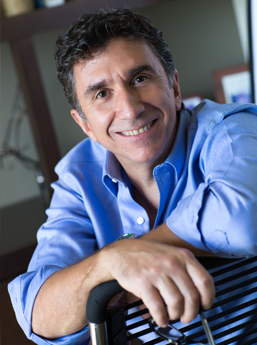 Dr. Hank Barreto is a third generation dentist who has been practicing since 1988. A graduate of Rutgers University, he attended the Farleigh Dickenson School of Dentistry and has since studied under some of the most innovative and respected dental and medical educators in the world. Get care from the best dentist in Florida. Searching “dentist office near me” is going to bring up a lot of results, but choose the dentist who treats your whole being—not just your teeth. Dr. Hank Barreto has more than 25 years of experience with holistic, biological dentistry, and is always eager to help you meet your health goals. Book an appointment today! "Dr. Barreto and his amazing team will make you feel comfortable at every visit. You will love going to the dentist."